At Travel Big Sky Vacation Rentals, we pride ourselves in doing what it takes to create the perfect vacation and lasting memories for all our guests. Listed below are some of the services we include to make your vacation enjoyable, relaxing and memorable. Prior to your visit a member of our team will visit your property, turn on the lights and turn up the heat so that you can start relaxing the moment you arrive. Each of our properties has a well-stocked kitchen to create a pleasant cooking experience. In addition, expect to find many basic supplies like laundry supplies, paper products, trash bags, cleaning supplies and bath amenities. A complete list is provided prior to your arrival. We will make you feel right at home the minute you step through the door. Upon your arrival one of our staff will meet you on-site at your property to help answer any questions and provide you with highlights and the important information about your property. 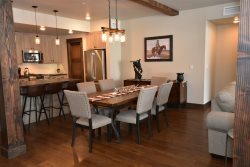 All guests of Travel Big Sky are provided with lists of our favorite activities, restaurants and service providers in the Big Sky area. These resources are sent via email to all our guests in advance of their arrival. Have extra bags or tired of lugging skis/ snowboards or simply planning the perfect holiday celebration? Guests of Travel Big Sky Vacation Rental are welcome to ship skis and packages to our office. Upon arrival we will deliver your package(s) directly to your property as one of our many services. HAVE A QUESTION? NO PROBLEM, ASK AWAY. WE ARE HAPPY TO HELP! Our entire staff are long time residents and/or locals to the Big Sky community. We are happy to help answer your questions or make a friendly suggestion. We are here to help you!